$140 million in cash may be $100 million less than proposed in NextGEN’s letter of intent but it’s still a lot of money, and it begs the question: What would our elected officials do with all that capital? 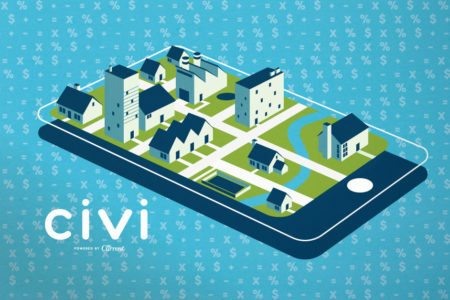 They could invest it with Wall Street and let it grow so the city can have hundreds of millions in the future, use it as an endowment that generates millions every year to spend on local needs, or deploy that capital into projects that spur economic development to potentially deliver even bigger returns. They could clear some ditches and build some roads, use it as a downpayment on the I-49 Connector. Hell, they could just not collect taxes for the city’s general fund for a year, or buy a whole lot of cryptocurrencies or build a monorail. The possibilities are endless. But so too is the risk that this capital gets wasted by bad decisions or indecision. At this point, we have no idea what the plans are or if any plans are in development, so it’s hard to judge how valuable having that capital would be relative to taking on the risk of selling the right to manage our public utility system. $184 million in debt relief is also less than what was originally proposed by about $30 million, but it would still take some big liabilities off of the city of Lafayette’s books. In theory reducing this debt might improve Lafayette’s bond rating, which could lower the cost of debt and increase the city’s capacity for taking on new debt to fund additional projects. But there has been little discussion about why the city needs the capacity to take on more debt. If there aren’t any big projects that need large amounts of capital from the city, then all this extra debt capacity may not do us much good. Of course, there’s always more work that needs to be done to improve infrastructure or services, and we all know that our economy needs all the help it can get. So there undoubtedly are projects in the pipeline that could use this new debt capacity. And there may even be projects that would only be possible in the near-term if we can free up new debt capacity through making a major move like this. But so far there has been no specific discussion with the public about what those projects would be and how increasing our debt capacity fits into the strategic vision for our city. $920 million in in-lieu-of-tax payments over the next 40 years make this deal sound like it’s even richer than what was originally proposed, but the reality is more complicated than that. ILOT is what LUS pays into the city’s general fund every year to make up for the fact that it doesn’t pay property taxes on its real estate or sales taxes on its services. Currently LUS’s ILOT payments are calculated based on its net revenues, which last year amounted to $23 million dollars to help fund city government. NextGEN’s proposal would continue making ILOT payments — only instead they’d be calculated as some as-of-yet-undefined percentage of gross revenue, which NextGEN projects to average $23 million a year for the next 40 years. One immediate criticism of the proposal was the implication that NextGEN’s ILOT payments wouldn’t increase over the term of this agreement. This runs counter to LUS’s history, which has seen an increase of 3-4 percent in its ILOT contributions over the last 40 years. Even if we just assume a 2 percent increase every year to keep up with inflation, that would still mean in 40 years LUS would be generating more than $50 million annually and would have produced more than $1.3 billion in total ILOT payments. All of a sudden NextGEN’s $920 million seems less than generous. But at Tuesday’s presentation to the LPUA, NextGEN executive Jim Bernhard announced that their intent is to guarantee at least $23 million in ILOT. He said if they’re able to grow LUS’s revenue, ILOT payments could likewise increase. What this means is the city would be able to count on at least $23 million in ILOT payments every year, which right now it can’t. While LUS’s ILOT payments have risen over the years, there are no guarantees they’ll continue to do so. LUS needs to spend a lot of money upgrading facilities one way or the other while the electric market is in a state of flux and the local market is in a state of economic uncertainty. If we knew that LUS’s ILOT payments were going to continue to increase like they have in the past, then it would be hard to put much value in getting the same or less money from NextGEN in this deal. 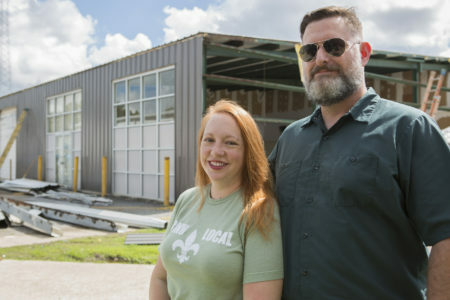 But we don’t and we can’t because there are too many unknown variables, like how much demand for electricity will change over the next four decades, how much the cost to deliver that electricity will evolve, how much LUS might expand further into the parish, or how much new development happens within city limits. So NextGEN’s shift in how ILOT payments are structured would hedge against any future contraction in demand or “profitability” at LUS and would tie any future growth in ILOT payments to the growth of LUS’s gross revenues rather than its profits. 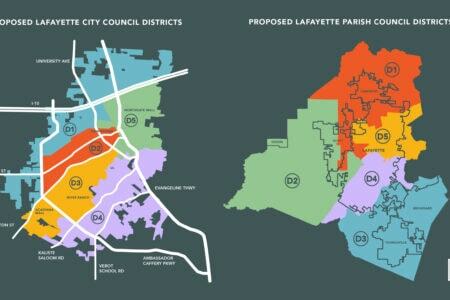 Whether this option is better for Lafayette will be determined on whether LUS’s gross revenues grow faster than its net revenues. But at this point we still don’t know exactly how NextGEN will be calculating its ILOT payments, so we can’t even hazard an educated guess on which option could be richer for the city long term. For now, I’d consider this aspect of the deal to be a wash, pending more information. $64 million is the amount of earnout payments LCG could make in the future if LUS’s revenues increase sufficiently. If base rate revenue grows more than 2.1 percent annually calculated over a three-year period, NextGEN will split any overages with the city up to a cap of $64 million. NextGEN’s LOI also included splitting 50-50 any additional revenue growth beyond 2.1 percent without any mention of a cap, but that does not appear to be a part of the official offer. There are no guarantees LUS’s revenue will grow more than 2.1 percent, so there’s a chance none of this will matter. But at the end of the Q&A portion of Tuesday’s presentation, Jim Bernhard made a passing mention of the potential for 4-5 percent growth. If that were to happen, LUS’s revenue would be increasing by about $10 million a year, which would be about $6 million more than the 2.1 percent goal, which would be split up with NextGEN and add an additional $3 million to the city general fund. If 5 percent growth were to happen every year, it would take about 15 years before we’d hit that $64 million cap. 10 percent is the amount NextGEN will discount residential electrical services over the first three years of the deal. During the company’s presentation last night, officials suggested that the average LUS residential customer spends about $1,300 a year, so this 10 percent reduction would amount to about $130 per person. While no one would complain about such a reduction, it needs some additional context to better understand what it means. For starters, obviously these reductions are temporary pending NextGEN submitting a new pricing schema that will go into effect in the fourth year of this deal. NextGEN suggests that the investments it’s planning to make in new efficiencies may drive down costs enough that rates won’t have to be raised even from these discounted levels, but there’s no way of knowing now how things will play out in the future. The other major variable to consider is that LUS already raised rates 8 percent a couple years ago to pay for new bonds for a $250 million capital improvement program, including a new $120 million natural gas plant. But the LPUA slashed the bond, and the Robideaux administration pulled plans for the new gas plant. So LUS customers have already been effectively overpaying these last couple of years. Against that backdrop, the offer to reduce rates for a limited term seems less magnanimous. $2.8 billion, the bulk of the offer, is derived from economic development that NextGEN’s economist-for-hire, Dr. James A. Richardson of LSU, claims Lafayette’s economy will conservatively realize as a result of this deal going through and NextGEN locating its headquarters in Lafayette and creating 400 new jobs here. There are two main components of the projection: $2.77 billion in salaries to local NextGEN employees paid out over 40 years and $175 million in local taxes generated as a result. These numbers may be wildly overestimated or wildly underestimated. Underestimated because they don’t take into account any of the potential additional economic development that could be realized by having a Fortune 500 company headquartered in Lafayette creating utilities of the future across the South. Ideally if this scenario were to be realized it would also include the creation of a number of startups and the clustering of companies related to these efforts. If this were to happen, it could represent billions of dollars in additional economic development. 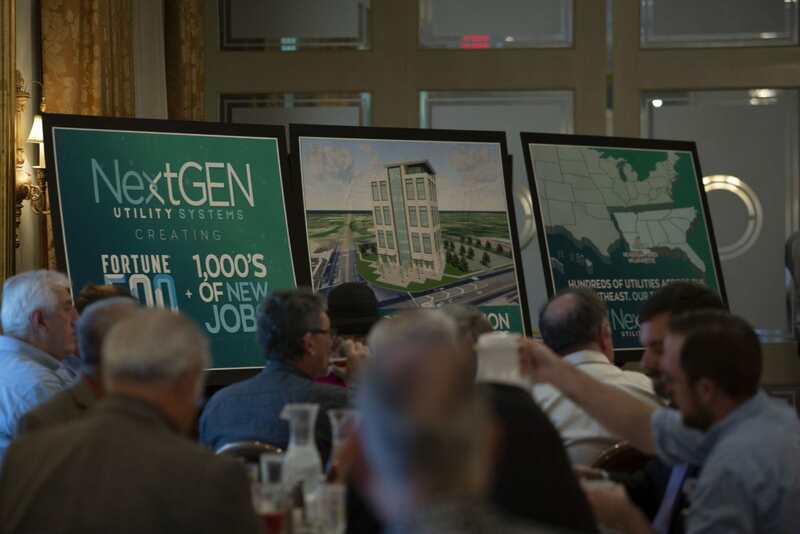 Overestimated because there are no guarantees that NextGEN will successfully build a Fortune 500 company that operates dozens of utilities, or even if it does, that it’ll stay in Lafayette for the long haul. NextGEN is effectively a well-funded startup with an unproven business model backed by an experienced management team. As with any startup, the odds of success are less than 100 percent. So there’s a chance that NextGEN doesn’t fully realize its vision of buying and building utilities of the future all across the South. At this point, we don’t really know if it’s even going to be able to buy one more utility, let alone the 50 its projections are based on. Anyone who supports Lafayette accepting this offer on the basis of a Fortune 500 company moving to town needs to realize that this deal is effectively a lottery ticket, and the cost to play is control over our public utilities for the next 40 years. And let’s also not forget that even if everything goes well and NextGEN achieves all its goals, there are no guarantees that it won’t decide to move its HQ elsewhere in the years to come. This could happen for any number of reasons, like if it runs into trouble attracting or retaining a world-class workforce here and needs to move to a bigger city, or if it decides to set up satellite offices and decentralize its workforce, or if it gets bought by another company that’s headquartered elsewhere and wants to consolidate its operations. At this point there are just so many uncertainties about this aspect of the deal that I don’t think we should factor this economic development potential into our consideration and instead focus on the hard numbers of the offer. $324 million is the hard value of this proposal. That’s the cash plus the retired debt. Everything else is either not guaranteed or doesn’t represent any new money outside of what Lafayette would get if we just stayed the course on how we’ve been running LUS for the last century. The question then becomes: Is this a good deal for what we’re giving up? Sorry to be redundant but I still fail to see the need to even discuss the “terms”, when what the whole thing boils down to is we are “selling” them a monopoly on ourselves. They will pay whatever we ask as long as they can collect all of it in utilitiy rates from us. The more they pay us the more the will charge. So let’s ask for a billion dollars if that makes feel better. And they will pay it. And charge us for it.